The Bay Run is a true community event, going from strength to strength each year in its support for many local causes based around Bantry and West Cork. 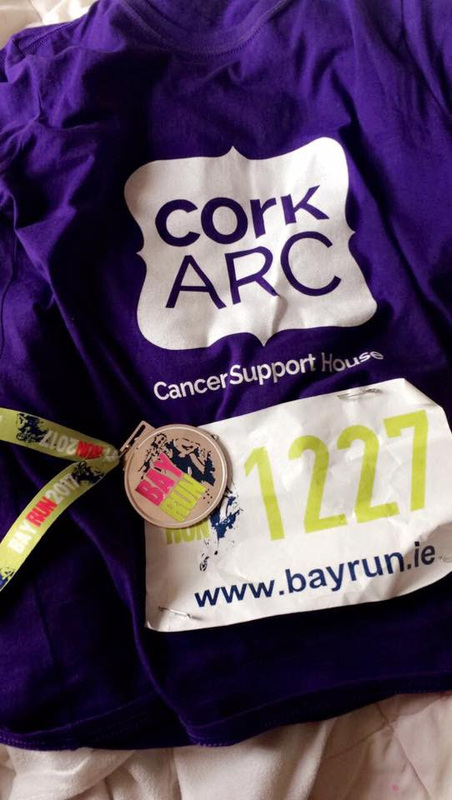 Register to run for Cork ARC! Would you like to join our mailing list to receive updates about our news, services, and events? Please indicate how many sponsor cards you require, or whether you will be creating an online fundraising page (JustGiving / Everydayhero). The annual Bay Run takes in some spectacular views from its routes, the Scenic 10k and the Half Marathon. Taking place between Glengarriff and Bantry again in May 2019, the race is a most enjoyable day out for serious athletes as well as Sunday joggers! Race organisers have very kindly offered the first twenty Cork ARC participants free entry! At our centre near Bantry, we welcome cancer patients and their families to our drop in centre, without an appointment, to talk in confidence with a trained volunteer listener, free of charge. We also offer therapeutic massage, reflexology and counselling as well as a drop-in guided ‘Hour of Calm’ each Tuesday from 11.00 am. Our service is open every Tuesday and Thursday between 10am and 4pm, and is a professional, confidential and discreet service. Our Information and Education programme covers topics such as diet, bereavement and prostate cancer. Throughout the year, we also offer group programmes such as Mindfulness, Pilates for Men and Yoga. All of our services are free of charge. We would be delighted with your support again in 2019.